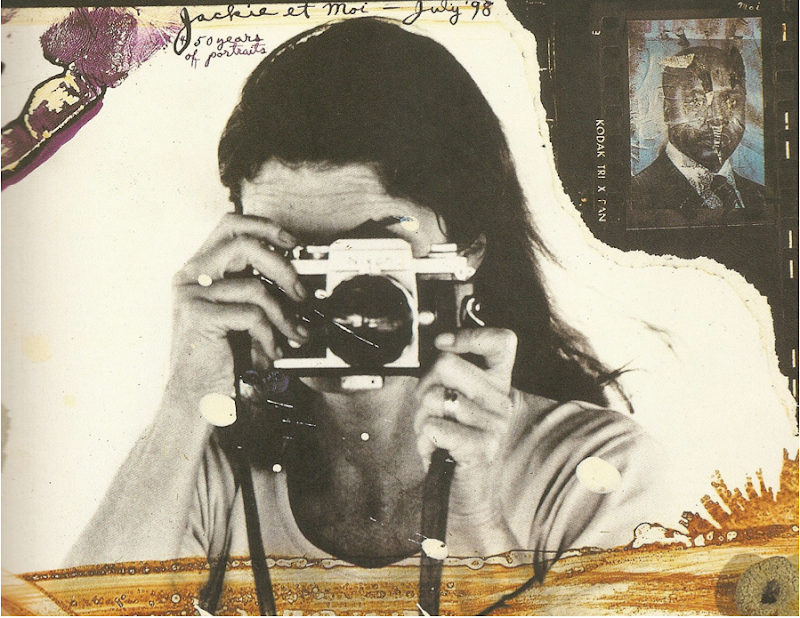 Mixed media photo collage by Peter Beard, scanned from Peter Beard: Fifty Years of Portraits. She was the apex of femininity and yet still had a duality to her—visible when she pedaled her bike through Central Park, jumped a horse in Southampton, or took photographs in a white t-shirt en route to Nairobi. great post... nice pictures... Jackie looks amazing. love it!! she's the ultimate in tomboy style. My original and timeless fashion icon, Jackie! Nice to see your not showing her typical pillbox, gloves and suit style... she was so much more than that! 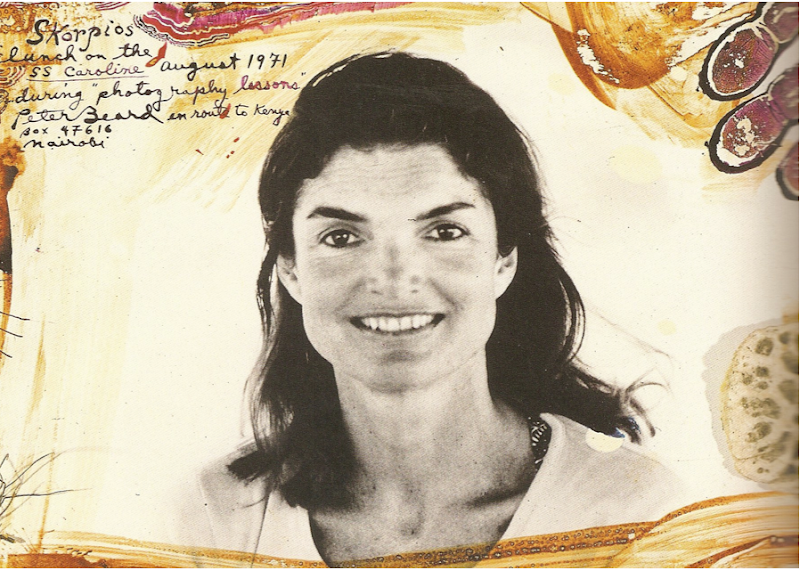 She had much more dimension than the singular role of First Lady, nice post. I agree, I loved her style in the late 60s and 70s so much more than in her stately look in the early 60s. It just felt so much more doable and "her". Totally agree, I can identify more with her style in her NYC days.